It's important to think about the container where you'll store your water. You can believe it or not but this could pose as a health issue if you won't make the correct decision. There are water containers that are not good for the health as it contains some chemicals. Therefore, you would need to understand what the water container is made of before you make a purchase because it could have a great impact in your life. Many of the serious diseases can be caused by the containers that have chemicals that react to water badly. There has been an increase in the deaths that are attributed to this type of illnesses caused by water in the recent years and a lot of these illnesses were caused by containers that people store their drinking water in. When you take a look at the very common container types used for storing water, the most common type used are plastic containers. The industry for plastic has grown for around 10 to 20% over the last few years and it's still growing. These containers have dangerous chemicals that are not good for a person's heatlh. They are decreasing the purity of the water and it adds dangerous characterizes that can be very poisonous for the person who will drink the water. These plastic containers have Bisphenol A, a chemical that resides in the plastic and it's a very dangerous byproduct. These chemical byproducts are poisoning the water and it changes the taste as well. The plastic industry producing bottles have given birth to harmful diseases such as cancer. 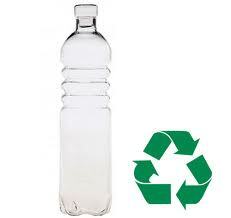 The plastic bottles decrease the level of purity of water and pose a threat to our health. There are containers that are available which are not harmful and does not pose a threat to our health. One of these containers is glass. It doesn't have any of the chemical properties that could affect the water's purity. It does not even need an inner coating which is why it's one of the reasons why it's what we use to hold our water. I would vote though for stainless steel containers as they are durable and strong and does not have any chemical residue and it retains the freshness of the water and keeps it as pure as what nature expects it to be. Don't take the containers holding your water for granted. If you choose the wrong one it can leak some harmful chemicals into your drinking water. Here's how you can find the water container that's best for your needs. As much as possible, you must purify your drinking water at your home using multistage filtration that traps the chemicals and its byproduct just like with chlorine as well as lead traces and harmful cysts. You can store the water and carry it along on glass containers for your drinking water that good companies would provide without worrying what you'll be exposed to in your city. For those who frequently travels or are students, water containers with a filtration cartridge would be safer and even more eco-friendly and economical as alternative for the branded bottled water. Compare products and choose one that removes the highest amount of lead and chlorine. Due to troublesome research and studies, some companies are now marketing water containers that are BPA-free. If you have no idea about it, you may think this is just a gimmick or a marketing strategy but in fact, BPA really poses a threat because it's hazardous. The chemical is a monomer plastic that is used for manufacturing of different kinds of plastic. It also disrupts the endocrine and products that are designed to be used for eating or drinking containing this chemical had been in question since the 30's. Researchers worked hard for years to convince the regulatory agencies that this chemical should not be used for food cans or for baby bottles and water bottles as well as with other similar products. On the opposite side of this debate is with the industry as scientists are saying that the amount of the contaminant that leaches to the beverage or food is at a non-hazardous level. A number of studies on animals though disagree stating that the exposure has caused changes in their reproductive organs as well as with their cells that became prone to cancer. The Lang Study that was published in 2008 was 1st in assessing the BPA health affects to humans. It showed that high levels of the BPA in our bloodstream are associated with diseases to the heart, liver dysfunction and diabetes. So, if you want to protect your health for a longer term period then look for a BPA free drinking water containers. Though plastics are the more popular water container for sports, the glass water containers will not be leaching any of the harmful contaminants to the water. It will also be cleaner and much better as there's no smell of chemicals that you'd get from plastic containers. If you do prefer plastic tumblers or bottles, don't wash them in dishwashers as high temperature is breaking down the polymer which causes a further contamination of chemicals.